Deus, qui unigenitum Filium tuum constituisti humani generis Salvatorem et Jesum vocari jussisti: concede propitius; ut, cujus sanctum nomen veneramur in terris, ejus quoque aspectu perfruamur in caelis. O God, who didst constitute Thine only-begotten Son the Saviour of mankind, and didst command that He should be called Jesus: mercifully grant that we who venerate His Name on earth may also enjoy [the contemplation of] His countenance in heaven. The Collect for the Feast of the Holy Name of Jesus ingeniously brings together the Name of Jesus with a reference to His Holy Face. While the latin aspectus (used in the Collect above) can refer to one’s sight or appearance, it can also refer to one’s countenance or to the expression of his face. Nothing is more personal than one’s name and one’s face. Knowledge of another person is insignificant until we can put a name to his face, and a face to his name. So too, friendship with our Lord Jesus Christ is not significant until we have begun, by the grace of the Holy Ghost, to associate the Holy Name of Jesus with His adorable Face, and His adorable Face with His Holy Name. This was the very grace given in superabundant measure to the Carmelite of Tours, France, Sister Marie de Saint-Pierre (1816-1848) and to her saintly friend in the world, the lawyer, Monsieur Léon Papin Dupont (1797-1876). How did the Carmel of Tours, and the salon of Monsieur Dupont become centres of devotion to the Holy Face of Jesus? 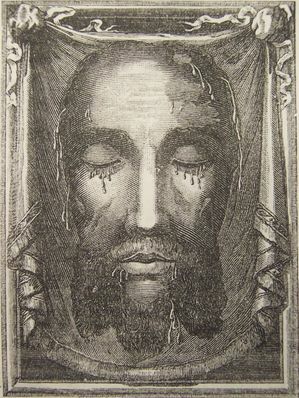 In the spring of 1851 the Benedictines of Perpetual Adoration of the Most Blessed Sacrament of the Monastery of Arras, daughters of Mother Mectilde de Bar, already being devoted to the Holy Face through the influence of Saint Gertrude the Great, gave the Carmel of Tours several reproductions of the image of the Holy Face venerated in Saint Peter’s Basilica in Rome. (From the Carmel of Tours the devotion would reach the Carmel of Lisieux where it became a profound influence on Saint Thérèse of the Child Jesus and of the Holy Face, Doctor of the Church.) This particular image of the Holy Face became famous after an astonishing miracle that took place in January 1849, during the exile of Blessed Pope Pius IX at Gaeta. It was customary on the feast of the Epiphany to expose for the veneration of the faithful the “Veronica’s Veil” preserved with other sacred relics in the Vatican Basilica. The “Veil” was darkened by age, and the features of Our Lord’s sacred countenance were no longer visible. On the third day of the exposition of the relic, before the eyes of numerous witnesses, the “Veil” took on vivid colours and, in the midst of an unearthly light, the Divine Countenance became clearly visible, and this for three hours. 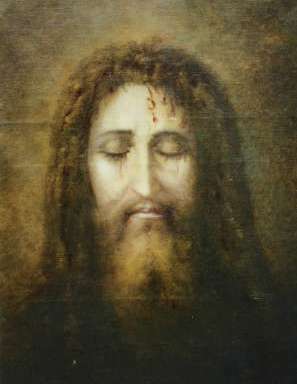 The expression on the Holy Face was one of profound sorrow and of love. Alerted to the prodigy, the Canons of Saint Peter’s ordered the bells rung, summoning the faithful to see the miraculous sign. A Notary Apostolic was called to take the depositions of the eyewitnesses; he drew up a document attesting to the miracle, which was then placed in the archives of the Vatican Basilica. That day and the day after passed without anyone asking me a question. Some paid no attention. Others thought a very pious idea had befallen me. On Good Friday a traveling salesman, having forced my door to propose some Bordeaux wines, had my response, and was so surprised by it that I had to repeat to him twice. There was my opportunity to speak to him of religion. He stayed listening to me for over an hour. Having come into my house indifferent, at best, he left it, very nearly converted, taking away with faith some water from La Salette. The next day, that is Holy Saturday, Our Lord began to make His intentions known, and this is how He did it. I received the visited of a very pious person whom I knew, a Miss X. She suffered from an affliction of the eyes; entering my room, she complained loudly of a lancing pain in her eyes due to the cold wind that was blowing and filling the air with dust. She was coming to see me about business. Being occupied in writing, I invited her to pray to the Holy Face while waiting to see me. She took advantage of the opportunity to ask for her healing. In a moment I had joined her. I knelt down and we prayed together. Upon getting up, it occurred to me to say to her, “Put a little of the oil of this lamp on your eyes.” She dipped her finger into the oil, rubbed her eyes with it and, taking a chair to sit down, said in astonishment, “My eyes no longer hurt me.”. At end of her visit, I had to give her a little oil from the lamp to take home because she was leaving for Richelieu, her usual place of residence. From that day forward the life of Monsieur Dupont became an uninterrupted flow of miracles, healings, and graces attributed to the Holy Face of Jesus, and to the pious use of the oil that burned in the lamp before it. He recounts that on the following Easter Tuesday a young man of the town came on an errand; one of his legs was injured, he walked painfully and limped. Monsieur Dupont thought that if he applied some of the oil burning in the lamp, and prayed to the Holy Face of Jesus, the young man might obtain some relief. This he did. Immediately the young man was healed and began to run around the garden with the greatest ease. Monsieur Dupont originally intended to keep the oil lamp burning before the Holy Face only during Holy Week, but after these experiences, he couldn’t bring himself to remove it. Soon thereafter it was Our Blessed Lady’s month of May, another reason to keep the lamp burning. After that came June, the month of the Sacred Heart of Jesus and July, the month of the Most Precious Blood. Monsieur Dupont knew that it would not at all do to allow the lamp to go out during months dedicated to the mysteries of the Redemption. Graces and favours began to abound. More than twenty persons were healed after having prayed to the Holy Face of Jesus, and used oil from the lamp. A movement of devotion to the Holy Face was born. The faithful would gather in front of the image of the Holy Face, together with Monsieur Dupont, to recite the Litanies of the Holy Face composed by Sister Marie de Saint-Pierre, cloistered in the nearby Carmel. Prodigies began to multiply. Healings of all sorts took place: from cancers, from ulcers both external and internal, from deafness, from cataracts, and from sprains. 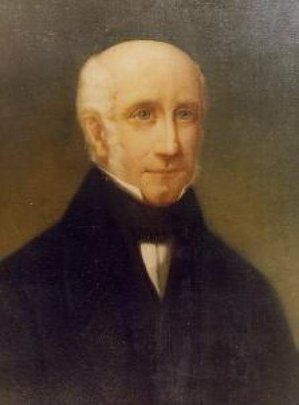 By December 2, 1852 Monsieur Dupont had distributed more than eight-thousand little vials of oil from the lamp. Crowds began coming to his door. On certain Saturdays more than three-hundred people crowded into his reception room. The greatest wonder of all was that, for all of these people, their devotion to the Holy Face of Jesus was crowned by a good Confession and fervent Holy Communion. Miracles continued to abound. Until his death in 1876, Leon Papin-Dupont noted each miracle worked by the Holy Face of Jesus in a register kept for that purpose. To his great confusion, letters would sometimes arrive addressed “To the Wonderworker of Tours” or “To the Holy Man of Tours.” Like the Curé of Ars hiding behind the intercession of Saint Philomena, and like Saint André Bessette hiding behind that of Saint Joseph, Monsieur Dupont sought only to disappear into the glory of the Holy Face of Jesus. Today, Monsieur Dupont’s room, having been transformed into the Oratory of the Holy Face (8 rue Bernard Palissy, 37000 Tours, France) remains a place of pilgrimage and of prayer. 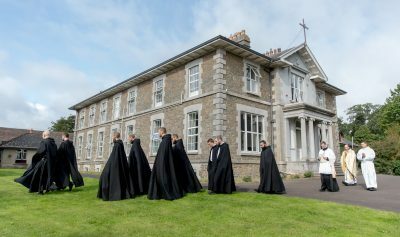 Dominican Fathers of the Province of France, now living in the home of Monsieur Dupont, are charged with the pastoral care of pilgrims to the Oratory of the Holy Face. For Monsieur Dupont and for Sister Marie de Saint-Pierre, devotion to the Holy Face was inseparable from love for, and faith in, the adorable Name of Jesus. The layman and the Carmelite demonstrated in their piety the very association made by the Church in the Collect for the Feast of the Holy Name of Jesus. Saint Gaetano Catanoso was a lover and apostle of the Holy Face of Jesus. “The Holy Face”, he affirmed, “is my life. He is my strength”. With joyful intuition he joined this devotion to Eucharistic piety. He would say: “If we wish to adore the real Face of Jesus…, we can find it in the divine Eucharist, where with the Body and Blood of Jesus Christ, the Face of Our Lord is hidden under the white veil of the Host”. Daily Mass and frequent adoration of the Sacrament of the Altar were the soul of his priesthood: with ardent and untiring pastoral charity he dedicated himself to preaching, catechesis, the ministry of confession, and to the poor, the sick and the care of priestly vocations. To the Congregation of the Daughters of St Veronica, Missionaries of the Holy Face, which he founded, he transmitted the spirit of charity, humility and sacrifice which enlivened his entire life. O God, Who seest that that we put not our trust in anything we do of ourselves; mercifully grant that by the protection of the Doctor of the Gentiles we may be defended against all adversity. Today also marks the beginning of the Novena in honour of the Most Holy Face of Jesus. The feast of the Holy Face is celebrated, in many places, on the Tuesday before Ash Wednesday. Litanies are among the oldest forms of Christian prayer. They invite us, not to a mechanical and vain repetition of words, but to a prolonged contemplation of one or another of the mysteries of our faith, shot through with an insistent appeal for mercy. Pray the Litany of the Holy Face quietly and slowly. Allow each invocation to open the eyes of your soul to the adorable countenance of Our Lord Jesus Christ, the Human Face of God. R. Look upon us, and have mercy. V. Behold, O God our protector. R. And look upon the Face of Thy Christ. The last century saw, here and there, like so many points of light in the Church, men and women drawn by the Holy Ghost to the contemplation of the Face of Christ. 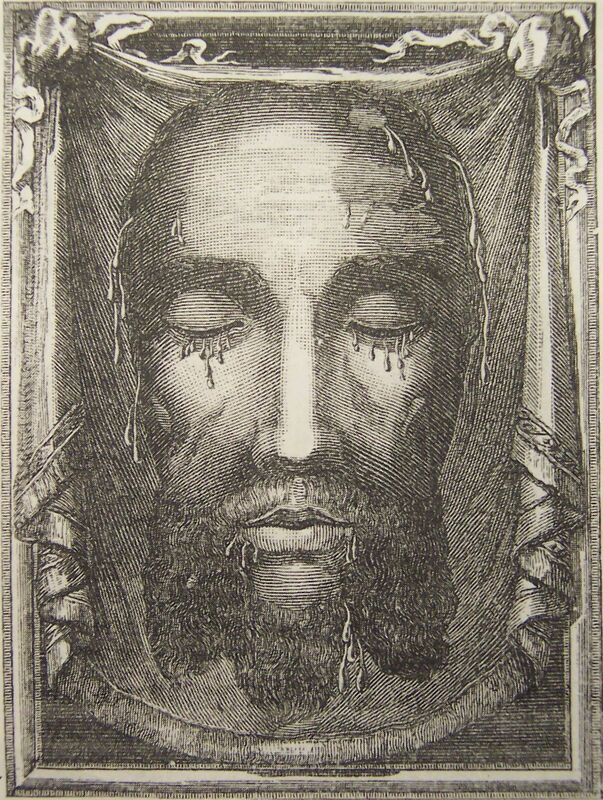 In many cases this attraction to the Holy Face of Jesus was characterized by the prayer of reparation. The spiritual impulse to make reparation emerged dramatically in the aftermath of the French Revolution and, in the twentieth century, became in some way a response to the horrors of two World Wars. Violence, terrorism, and war continue to inspire a prayer of reparation that looks to the Face of Christ. We are most affected by acts of violence that disfigure the human face. Hear Isaiah’s prophecy of the Servant: “His appearance was so marred, beyond human semblance, and his form beyond that of the sons of men. . . . He was despised and rejected by men; a man of sorrows, and acquainted with grief, and as one from whom men hide their faces he was despised, and we esteemed him not” (Isaias 52: 14; 53:3). The Holocaust that took place during the Second World War was, at the deepest level, an attempt to erase the dignity and uniqueness of each person, a sin against the Human Face of God, the Face of Christ mirrored in millions of Jewish faces. Every sin against the dignity of the human person is a sin against the Face of Christ. Every act of violence, irreverence, or scorn directed against the human person is a sin against the Face of Christ. The abortion that prevents a child’s face from seeing another human face in the light of day is a sin against the Face of Christ. Torture and cruel ridicule are sins against the Face of Christ. The hard, stony gaze that looks at a person without seeing him is a sin against the Face of Christ. The eyes that judge, the look that condemns, is a sin against the Face of Christ. The refusal to see Christ in the faces of the sick, the stranger, and the immigrant is a sin against His Holy Face. Reparation is the prayer that seeks to make whole what is fragmented by putting love where there is no love, by gazing with reverence upon what has been disdained, by allowing our eyes to rest on “One from whom men hide their faces” (Isaias 53:3). The extraordinary thing about the prayer of reparation is that it is healing not only for the one offended but for the offender as well. If by sin we offend the Face of Christ, by reparation to the Holy Face we are healed of our sins. “Thou has set our iniquities before thee,” says the psalmist, “our secret sins in the light of Thy face” (Psalm 89:8). The prayer of reparation is most at home in the presence of the Blessed Sacrament. The light that shines from the “Eucharistic Face of Christ” heals us sinners, and heals those against whom we have sinned. The love we bring to the Eucharistic Face of Christ reaches every human face. The prayer of reparation is the veil of Veronica lifted to the face of Christ in His Passion; it is the hand that seeks to wipe away every disfiguring stain of filth, of blood, and of tears. The beginning of Lent and today’s feast of the Holy Face of Jesus invite us to a prayer of reparation and of adoration. “Look to him and be radiant; let your faces not be abashed” (Psalm 33:6). The light that streams from the Face of Christ can make radiant every human face. Allow yourself to be held in His gaze. Believe in His love. Perseverance in the simple prayer of reparation means healing for ourselves and healing for the world. In Rome and in other places, Shrove Tuesday is observed as the Feast of the Holy Face of Jesus. In 2007 I had the privilege of concelebrating a Solemn Mass in honour of the Holy Face of Jesus at the Roman Church of Santo Spirito in Sassia with His Eminence, the late Fiorenzo Cardinal Angelini (1 August 1916 – 22 November 2014), a great apostle of the Holy Face of Jesus. 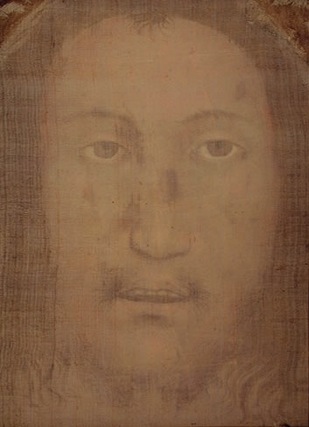 Masses in honour of the Holy Face appeared as early as the fourteenth century. In 1958 Pope Pius XII approved the observance of a feast of the Holy Face of Jesus on Shrove Tuesday. At Manoppello, the feast of the Holy Face is celebrated on August 6th, the Transfiguration of the Lord. The Benedictines of Jesus Crucified, founded in France in 1930, honoured the Holy Face with the Litanies sung in procession on the Sunday After Ascension. A Mass of the Holy Face of Jesus for Shrove Tuesday was approved by the Holy See in 1986. A flash of paschal glory before beginning Lent! Here are the Proper Mass texts of the Mass in English. The translation is my own. Of you my heart has spoken: “Seek his face.” It is your face, O Lord, that I seek; hide not your face (Ps 26:8-9). O God, who willed that your only-begotten Son should become man, and show us in his human nature a perfect image of your divinity, grant, we beseech you, that by venerating the image of his Holy Face we may be united with him in the mysteries of his Passion and Death, and so come to contemplate forever his glorious Face in the joy of the resurrection. Through our Lord Jesus Christ, your Son, who lives and reigns with you in the unity of the Holy Spirit, God, forever and ever. R. I long to see your face, O Lord. let your face shine on us and we shall be saved (Ps 79:8). (Lectionary, August 6, Feast of the Transfiguration, Gospel A). to the Lord we pray, Christ, hear us. R. Christ, graciously hear us. Almighty and ever-living God, whose splendour on Sinai was such that Moses was obliged to veil his face made radiant by the brightness of your holiness; remove the veil from our faces, and open our eyes to the knowledge of your glory shining in the face of Christ, that we, with the gaze of our hearts fixed on him, may, by the power of the Holy Spirit, be changed into his likeness and so praise you forever in the company of the saints in light. We ask this through Christ our Lord. O Lord Jesus Christ, beauty of the heavenly Father and light of souls, we beseech you with confidence that, as we advance in the darkness of this world, the splendour of your Face may shine upon us and that, in the light of your Countenance, we may one day merit to contemplate the eternal light in which you live and reign with God the Father in the unity of the Holy Spirit, forever and ever. O God, the Father of lights, look upon us, we beseech you, and beholding the Face of Christ your Son who offered himself for us as a victim of reconciliation, grant that we, like him, may offer ourselves to you as a spiritual sacrifice to the praise of your glory. Through Christ our Lord. that human form in which he is one with us. and he, being the head of his body. that shone upon his Face on the holy mountain. full of grace and truth (Jn 1:14). smitten by God, and afflicted (Is 53:4). Let your Face, O Lord, shine graciously upon us, so that illumined by your word and nourished by the Bread of Life, we may walk in your presence until we reach the wonderful life of your kingdom. Through Christ our Lord. descend upon you and remain with you forever.